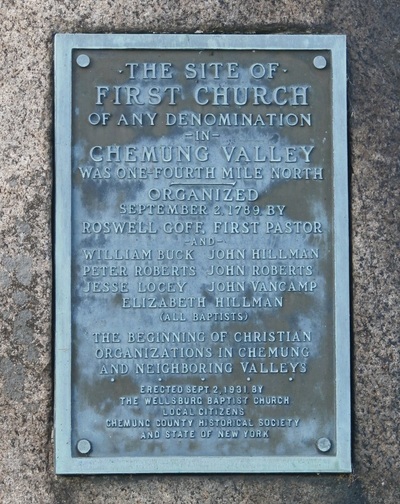 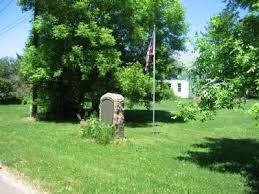 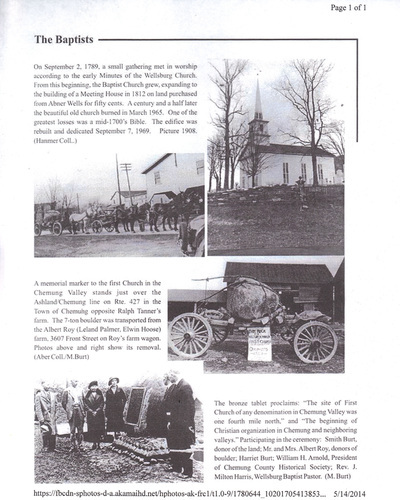 An article and photos showing the Baptist Congregation in Wellsburg, NY erecting the "First Church" Monument. 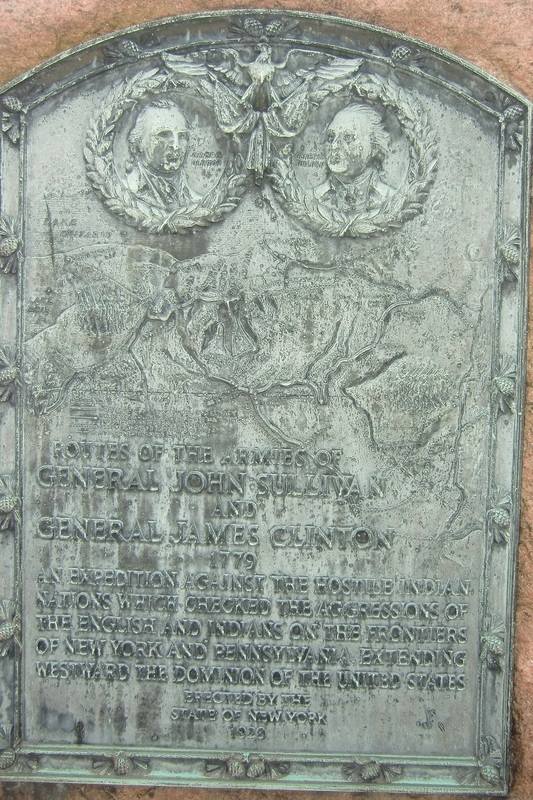 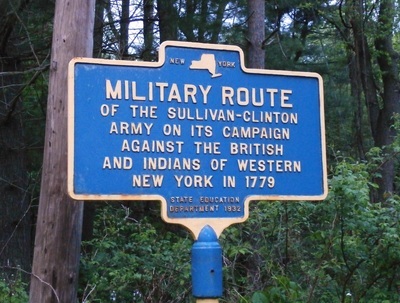 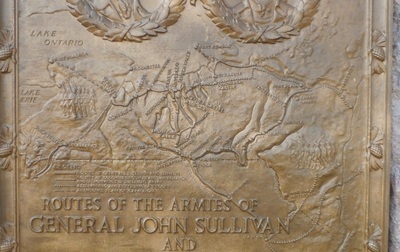 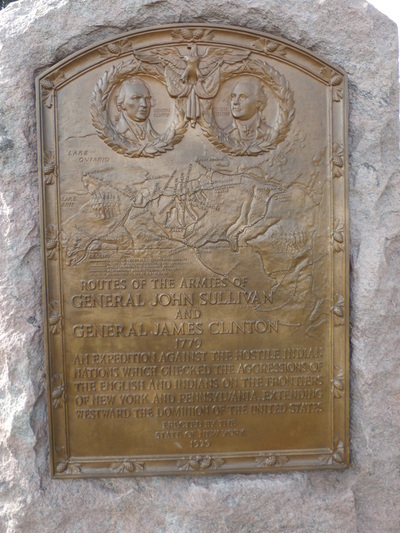 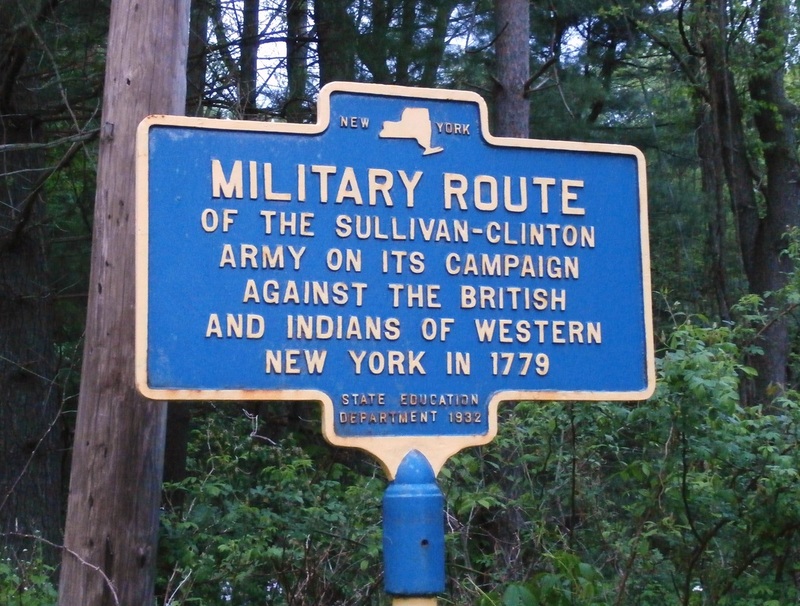 Routes of the Armies of Gen. John Sullivan and Gen. James Clinton, 1779, Location: County Rt. 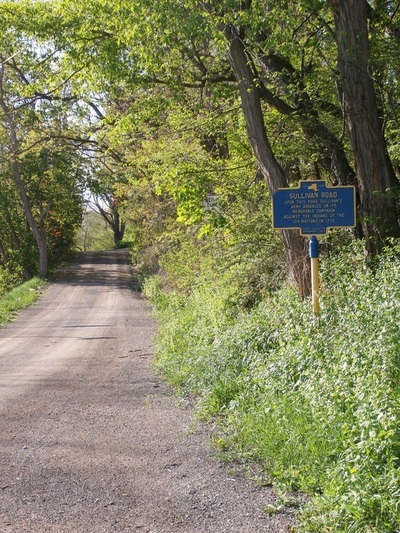 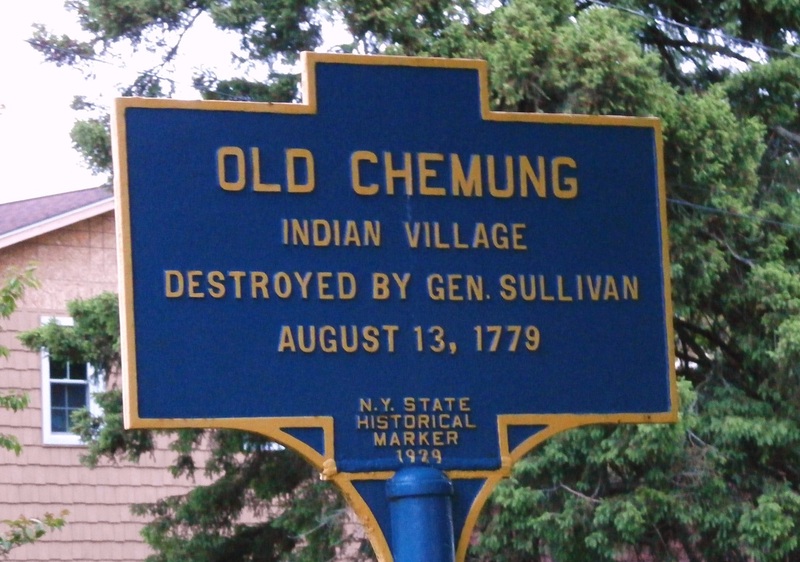 60, Village of Waverly, Tioga County, near the Chemung County border. November 11, 2014 - Veterans Day, S.A.R. 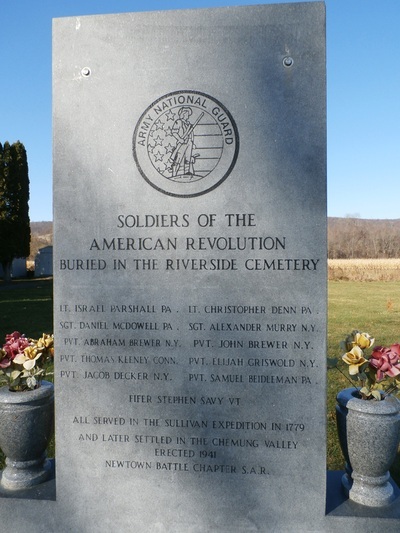 Memorial for the Revolutionary War Patriots buried in the Riverside Cemetery. 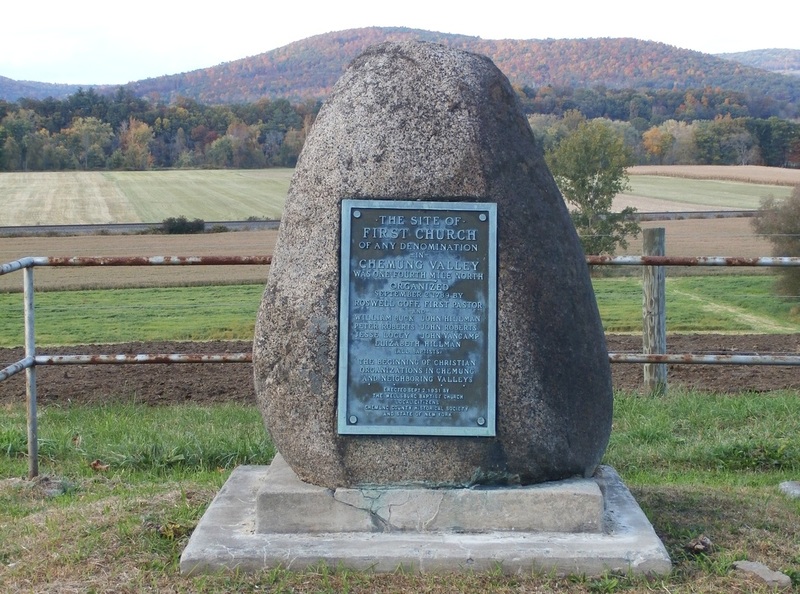 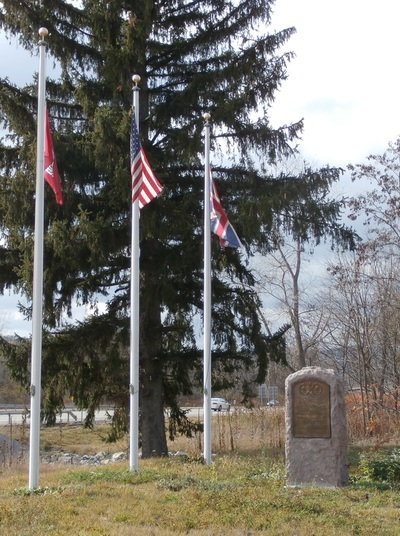 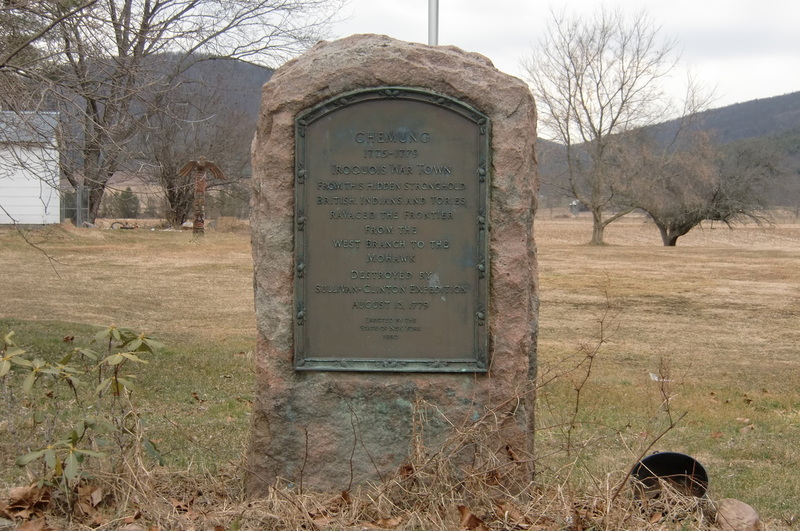 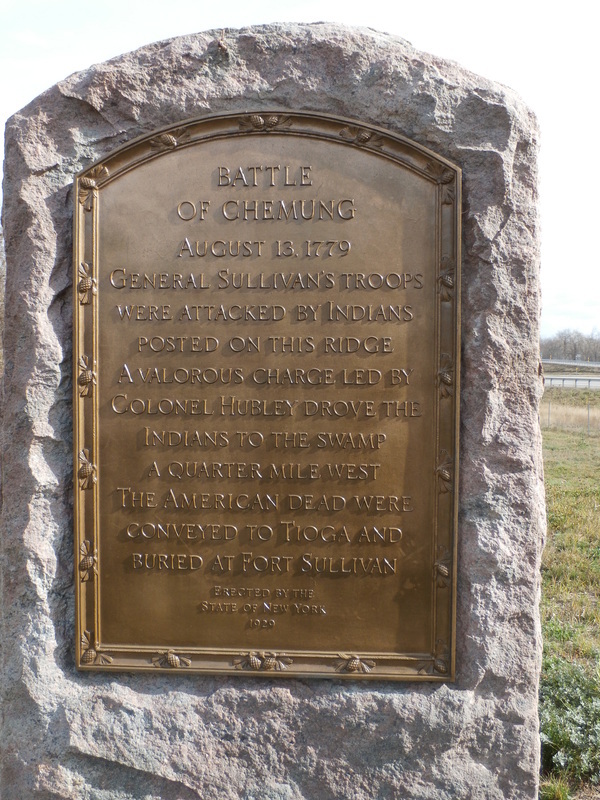 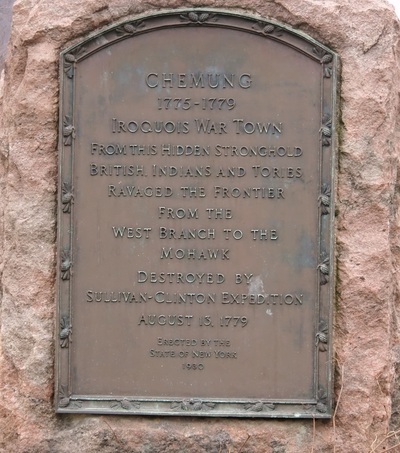 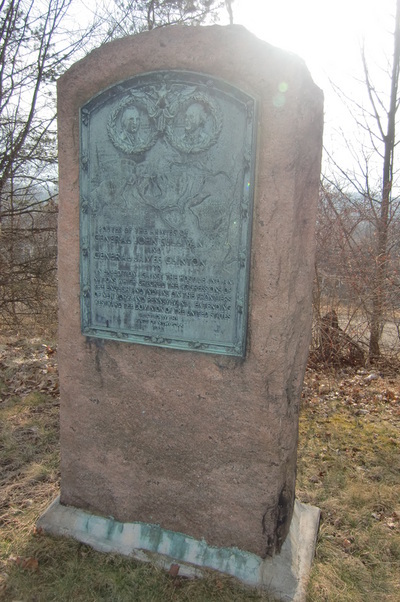 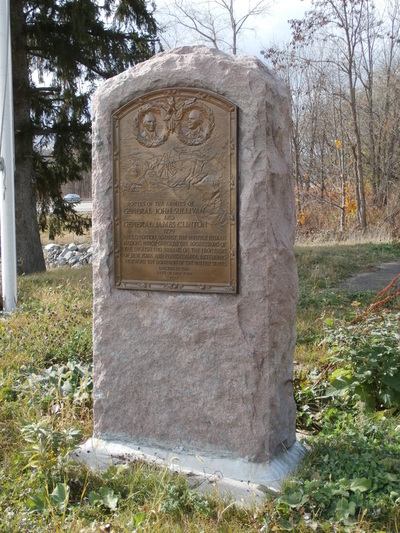 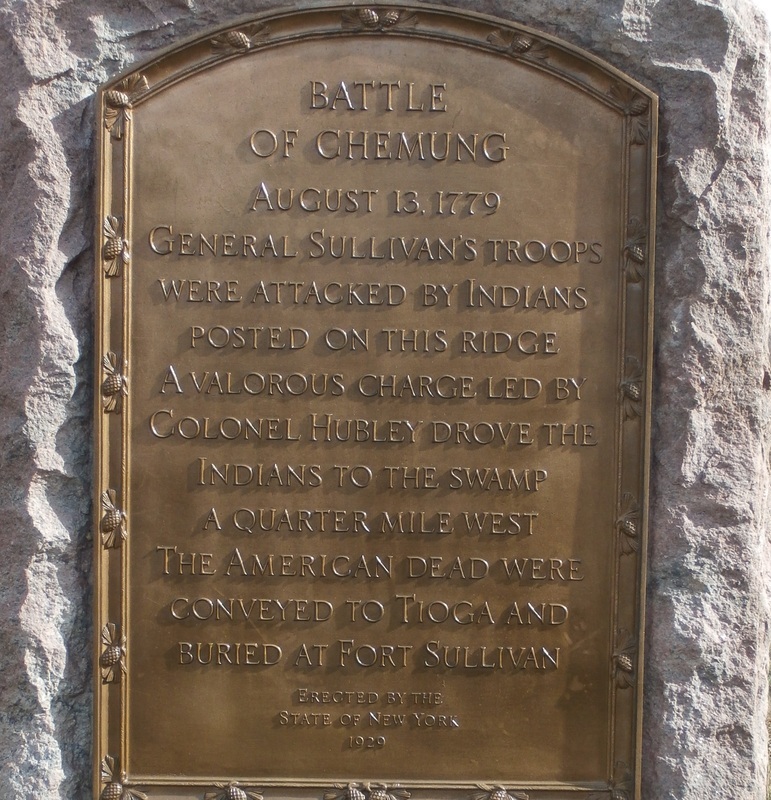 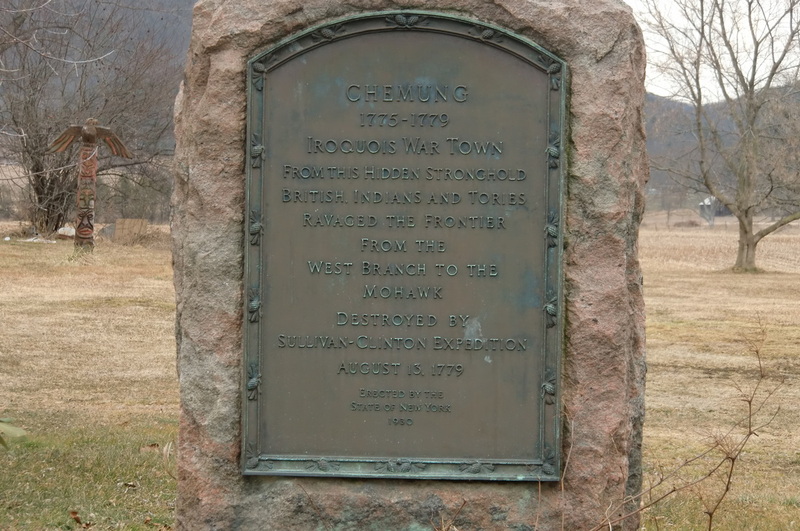 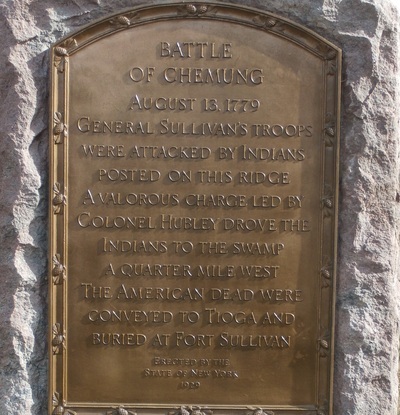 Monument located near the intersection of Roberts Hollow Rd and County Rt. 60 (old 17), and near the new landfill exchange, exit 58 off Interstate 86. 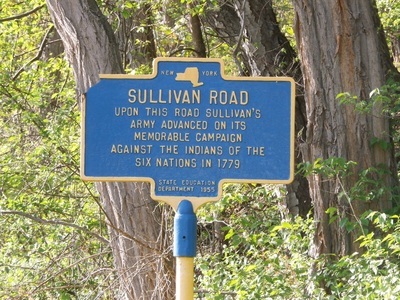 It can be seen from the highway.